Exploration of Modern Design in America: The Scandal Behind "Hey Diddle Diddle"
The Scandal Behind "Hey Diddle Diddle"
Randolph Caldecott was an illustrator and artist from the 19th century. He was a well known children's book illustrator and typically his books cost a shilling a piece. The image to the left is based on the nursery rhyme, Hey Diddle Diddle. It is called "And the Dish Ran Away with the Spoon," and was produced by George Routledge and Sons in 1882. The nursery rhyme, Hey Diddle Diddle, was written by the Ballard men during the reign of Queen Elizabeth I in England. For being a light and fun children's nursery rhyme, the true meaning behind it is powerful and dark. During the 16th century, there was a love triangle that was dark and criminal in matter; the end result was Elizabeth could not marry the man she loved. This dark love triangle was between Robert Earl of Essex, an English nobleman, and Lettice Knollys, the cousin of the Queen, and Queen Elizabeth herself. Lettice's grandmother, Mary Boleyn, was the sister of Anne Boleyn. Mary was the mistress of Henry VIII. During the reign of Mary I, the Knolly family lived in Germany and eventually returned to England to attempt to regain the thrown. Elizabeth was extremely loyal and loving to her family and gave much honor to the Knollys family. Elizabeth made Lettice a lady of the chamber; Elizabeth envied Lettice's beauty. Earl of Essex was originally named Robert Dudley and he came from a line of traitors. His father and grandfather were beheaded by the Tudor for treason. Elizabeth and Robert meant in the tower and instantly were attracted. Elizabeth ascended to the throne on November 17, 1558 and made Robert the Master of the House. Robert was married to Amy Robsart, even though he flirted and 'loved' the Queen. Elizabeth demonstrated the same actions as well but no one else would have ever dared to cheat on their husband or wife. One day Amy was found at the bottom of a staircase with a broken neck. Coincidence? The suspicion of a murder grew so Elizabeth and Robert had to grow apart. Robert had already a scandalous past with his father and grandfather. Elizabeth's true minister was Robert Cecil and urged her to stop this scandal. Years passed and Elizabeth still loved Robert, even though their love was forbidden. Robert started facing the truth that him and Elizabeth would never be able to marry. Eventually, Robert fell in love with Lettice. She was charming, seduction, and desperate to marry. Robert, now Earl of Lester, and Lettice wed in secret because of Elizabeth's temper. Elizabeth wanted Robert, even though they could never be. The French ambassador told Elizabeth about the marriage, which led to Robert being banished and she refused to ever speak to Lettice ever again who she called She-Wolf. "Hey Diddle Diddle Illustration." LEARN NC. Web. 3 Mar. 2012. <http://www.learnnc.org/lp/multimedia/11428>. 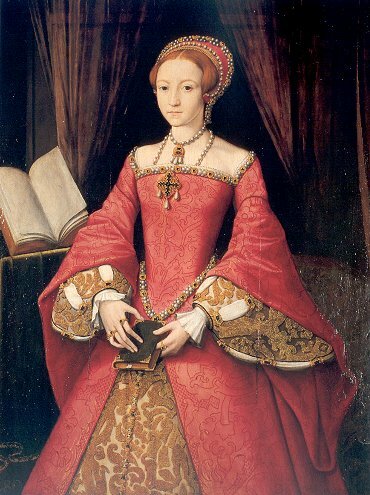 "Queen Elizabeth I: Biography, Portraits, Primary Sources." EnglishHistory.net. Web. 3 Mar. 2012. "R.I.P. Amy Robsart - The Mystery of Her Death - The Tudor Enthusiast." The Tudor Enthusiast. Web. 3 Mar. Soen, Nicola Jane. "Hey Diddle Diddle." - English Culture. Asha Sahni, 2012. Web. 3 Mar. 2012. Our of curiosity ... who or what were the roles of the cat and the fiddle? the Boleyns are no relations to Elizabeth at all ..Really, try and rewrite history on that part to. bunch of liars. Well, except that Anne Boleyn was Elizabeth's mother. Which I think makes them slightly related. Where's the cat? and fiddle? Why astronauts when return from Moon they were so silent?. Forbidden to say: On Moon there are Extraterrestrials, of course forbidden by the religious, because "God" only "is" on Earth. For that reason recent declarations of an astronaut: "We do not can return to Moon". Whatever it is you're smoking. I'll take £500 worth.